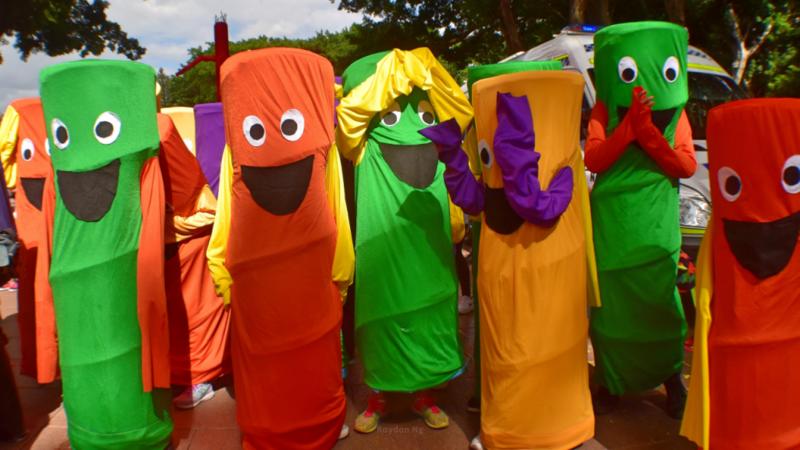 Sydney’s Hyde Park and Macquarie Street was awash with a sea of joy and music – flags waved high, colorful giant inflatables and dancing animals rocking to the beat of love. 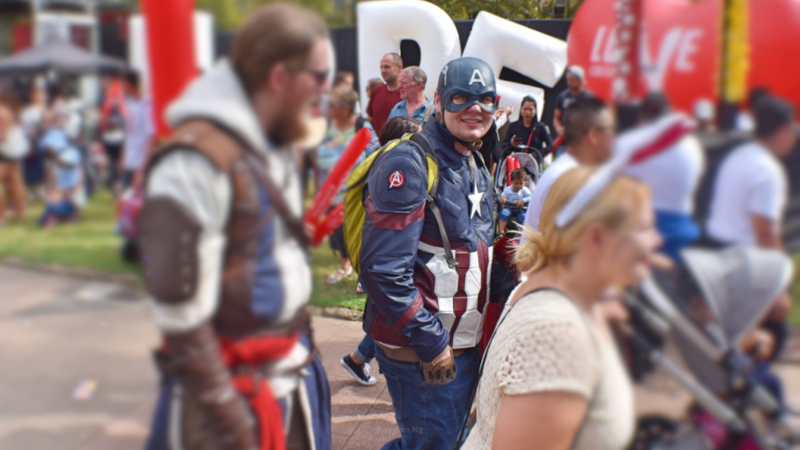 Nearly 2000 people and performers made for a spectacular Sydney Easter Parade through the city to the Opera House on a picture-perfect Easter Monday afternoon. In 2017, the parade was as much about promoting encouraging harmony and multiculturalism as it was the resurrection of Jesus Christ. This year’s theme was “Love Never Fails”. 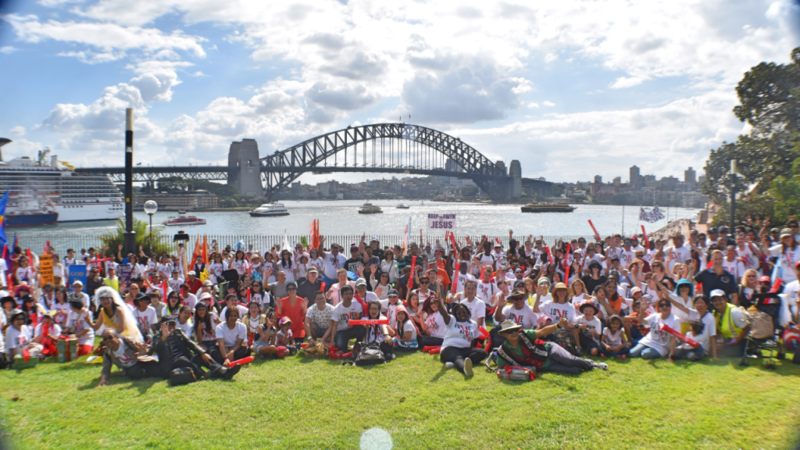 “We want to spread the love you know, the love of Jesus – the love of God in our city,” said Sydney Easter Parade organiser Pastor Ben Irawan. Starting with colourful performances and a message of love being preached from the stage in Hyde Park, the large crowd then joined together in singing the hymn “How Great Is Our God”. 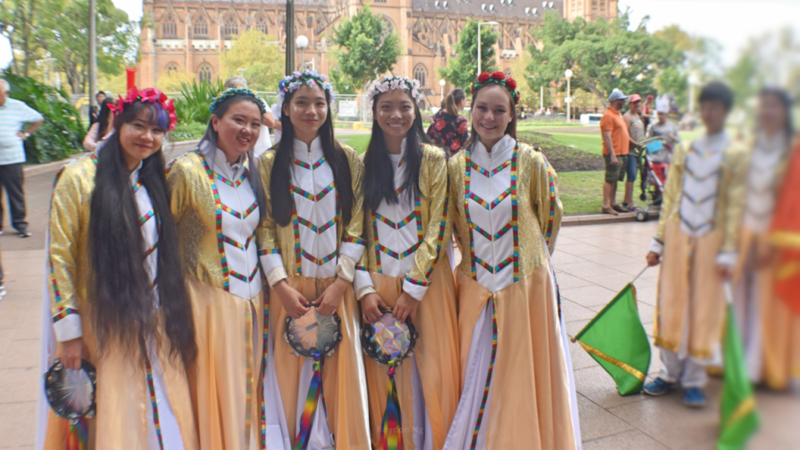 Groups from across Sydney including the Body of Christ Mission Centre, the Arabic Calvary Chapel, Kingdom Culture Christian School and the Mascot Uniting Church marched together in the annual event. Chants of “J – E – S – U – S” echoed as onlookers stopped and clapped along to the beat of pop music. The resurrection of Jesus Christ took place three days after His crucifixion over 2000 years ago in Roman controlled Israel. On show were also traditional African and Pacific Islands dancing forming one of the loudest parts of the parade. 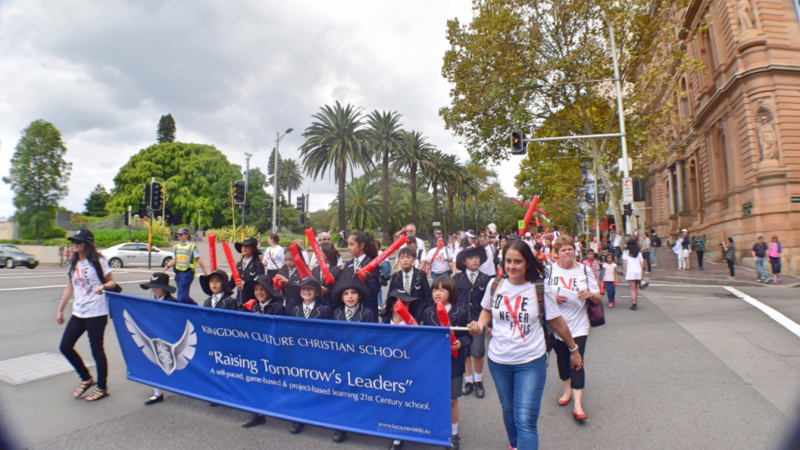 Families with young children, tourists and the elderly alike all lined Macquarie St singing songs of praise as flags declaring “Jesus Is Risen” and banners retelling the story of Easter made their way through the city. Some parade participants dressed in white wedding dresses symbolising their commitment to Jesus. 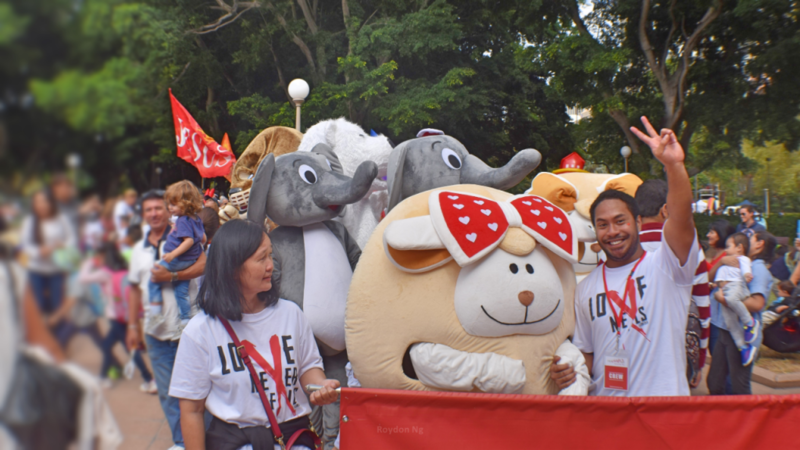 A giant rainbow inflatable and love heart were also carried through the city with members of the Christian Democratic Party following behind in the parade. The 35-minute march brought traffic to a halt with a few drivers honking in support of the celebrations. 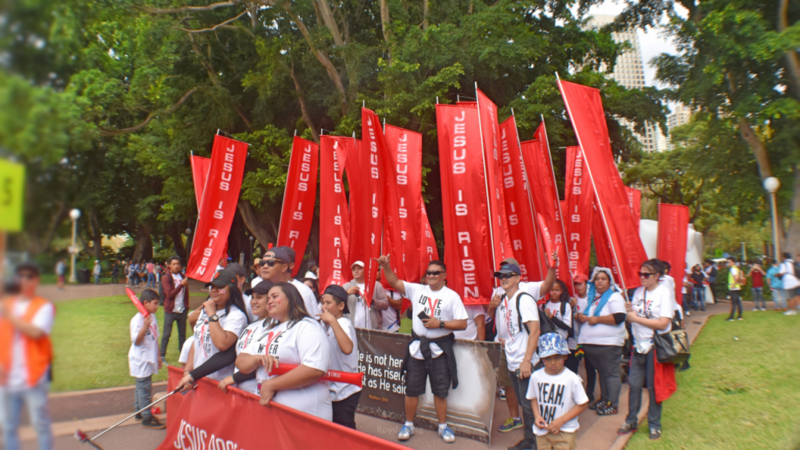 Upon arriving at Tarpeian Way in the Royal Botanical Gardens, a joyful rendition of “Amazing Grace” rang out across the front of Opera House with hundreds breaking out in song. 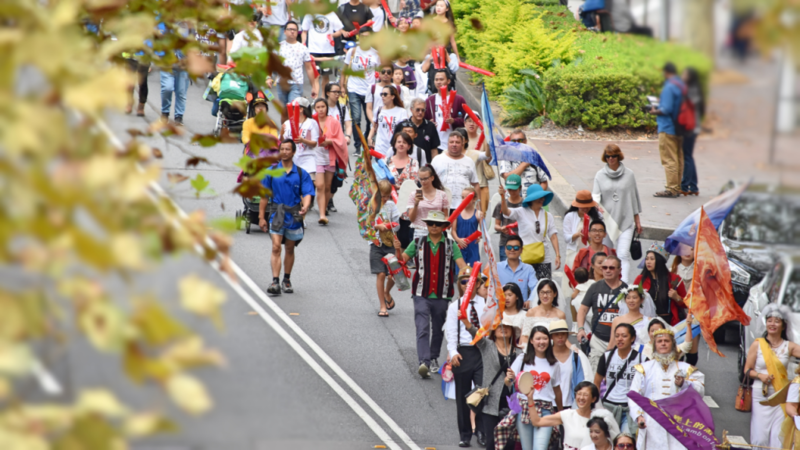 The Sydney Easter Parade has been a part of the city’s Easter celebrations for over twenty years. Sydney Police said they were happy with the event and no incidents were reported.